The tool can be used by folks with intermediate computer skills (even non-programmers) to create engaging and interactive e-learning courseware. Over the years, Lectora Inspire has grown considerably and its latest version, Lectora Inspire 16, is proof of it. Today, let’s see what features Lectora Inspire 16 has in store for e-learning developers, and why it’s among the best. Although Lectora Inspire has a steep learning curve, it’s extremely intuitive to use objects in the tool. 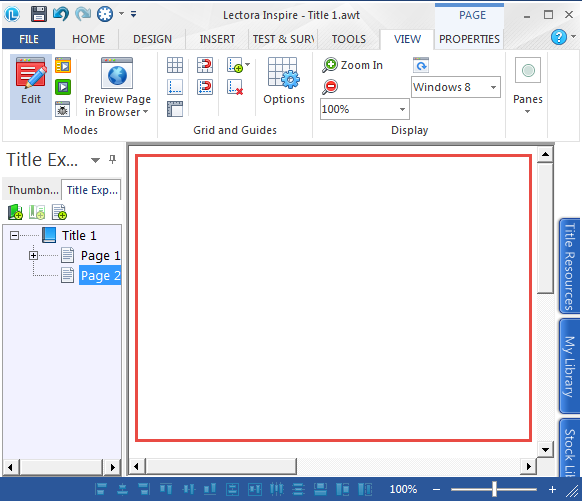 It has a ribbon-like navigation which is reminiscent of the good old PowerPoint UI – balanced and authentic. You now have Grids and Guides which make it easy to align your objects on the page, allowing you to make sure there is consistency in the design, across your project. There are two options – Add Guide and Clear Guide to add and remove guides. The Canvas Area is the space you will be working in. On it, you can drag and drop, resize and move objects to create an overall design for the course. 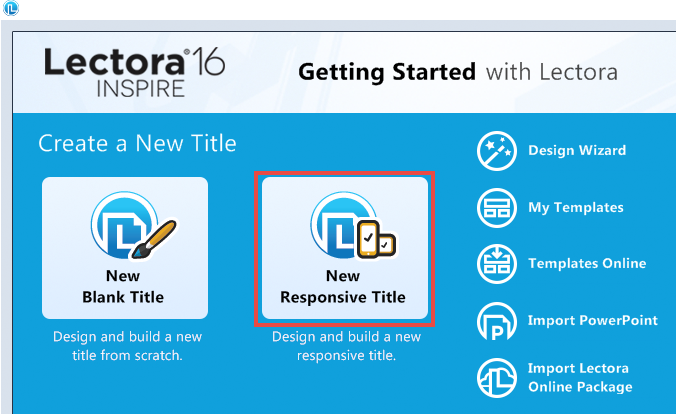 There are three basic modes in Lectora Inspire 16 to develop and test your content – Edit, Run, and Preview. Edit is the default mode in Lectora. This is the mode you use when you develop a course. Run and Preview modes basically enable you to test the interactive elements of your content and see what your audience will experience, before you publish. The media library is a one-stop shop for all the media you will use in the project. Access the library by selecting any of the blue tabs docked at the right side of the screen. A research by Morgan Stanley carried out in 2015 reported that more people use the Internet through their mobile devices than desktop computers. As more and more learners access learning content on their smartphones (and also tablet PCs), it makes sense to create courses that are responsive – which can be accessed anywhere by your multi-device learners. 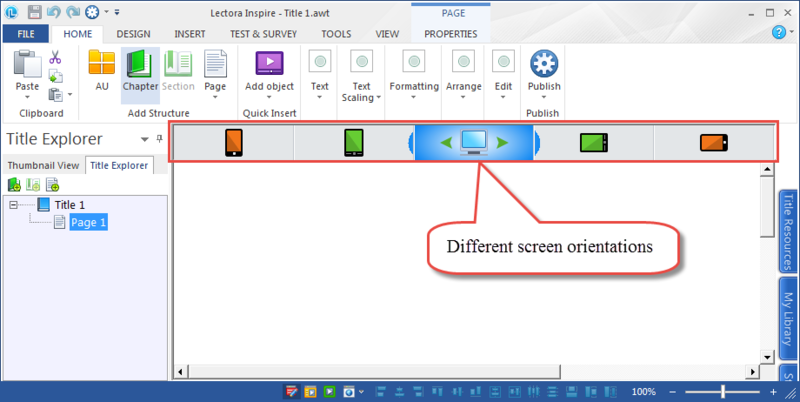 In the courses created using Lectora Inspire’s responsive course design, the on-screen content adjusts itself automatically to the size and resolution of the screen it is being displayed on. As a result, you can be rest assured that your learners will not be forced to pan endlessly or squint to read the text, even if they choose to access it on their smartphones or tablet PCs, whose screen is way smaller than that of a PC. It also allows you to make manual adjustments to any object to further ensure your title (course) looks and functions perfectly on all devices. a. Organize your Lectora content like a book – into chapters, sections and pages. Pages are the physical pages your learners will be able to see, while chapters and sections provide a convenient means of organizing those pages. 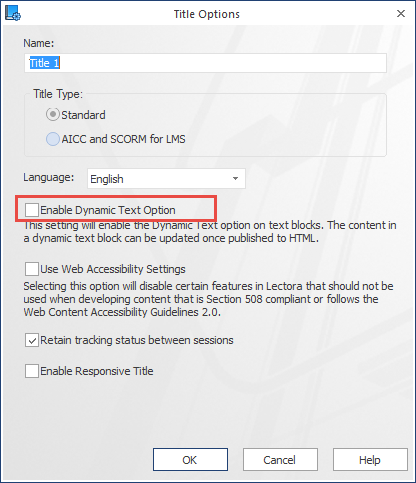 Picture this: When you publish your content using dynamic text blocks, an associated XML file will provide you with access to the text within the dynamic text blocks. Simply updating the text in this document and publishing it will reflect the changes in the course. This is especially useful when you want to make any textual changes without having to republish the content. Publishing SCORM- and AICC-compliant courses is now easy with Lectora. 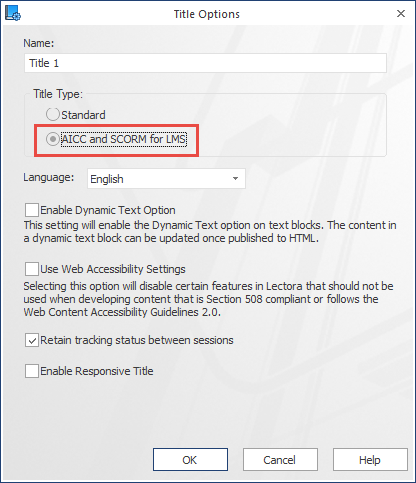 Select the AICC/SCORM/xAPI for LMS/LRS option in the design tab, enable it, and you’re good to go. d. Apart from publishing content to the various e-learning standards, you can also create courses that comply with the standards set in the Web Content Accessibility Guidelines (WCAG) 2.0. The WCAG govern the requirements you must meet to make online learning content accessible to people with disabilities. Stay tuned for the next part of this blog, where I discuss how Lectora Inspire 16 supports media creation and assessments in e-learning courses. In the meanwhile, you can read the blog, Lectora Inspire Success Stories, which talks about two success stories of how Lectora Inspire helped organizations overcome some serious training challenges.